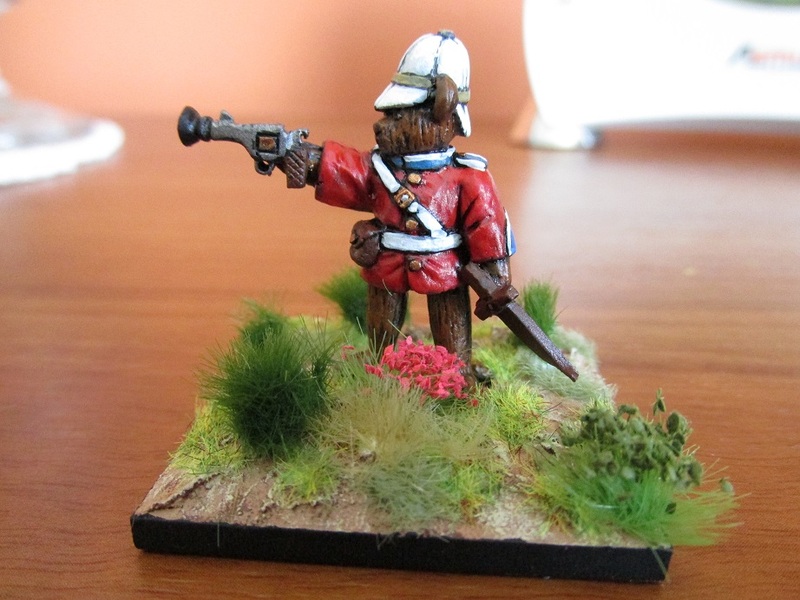 Another Eureka Miniatures Teddy bear. This time the Dread Pirate Ted. I am seriously thinking that a battalion of their Seven Years Picnic Bears would be a nice addition to the collection. I took a break from painting Napoleonics and painted these two Eureka Teddy bears from the Rorke’s Picnic range for a happy couple getting married. One with English ancestry and one with South African. I already have some Teddy Bears from the “The Good, the Bad and the Cuddly” range, a few of which I have posted on the blog . 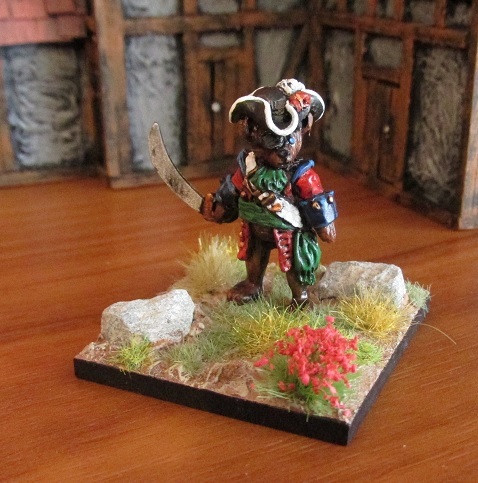 Eureka also does Pirates and Seven Years Picnic bears that are a real treat. 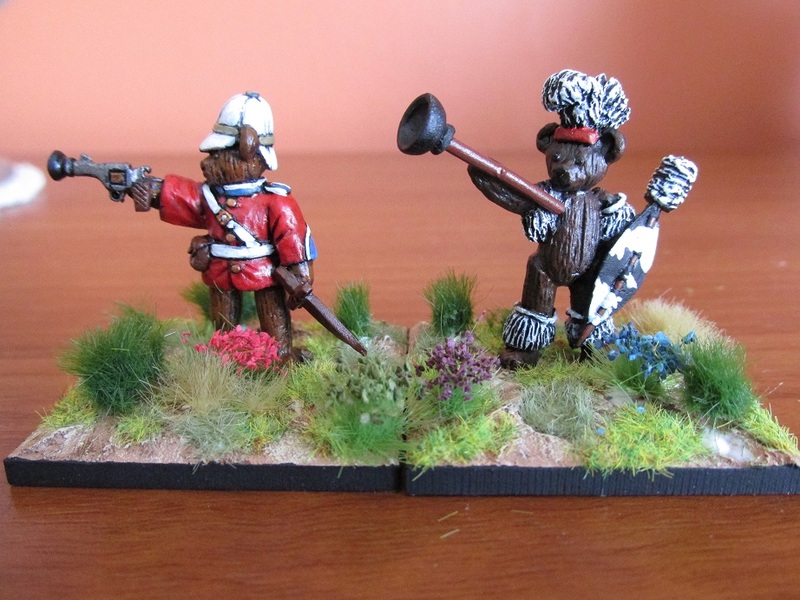 To say I am tempted in painting a whole battalion of Seven Years Wars Teddy bears is an understatement. 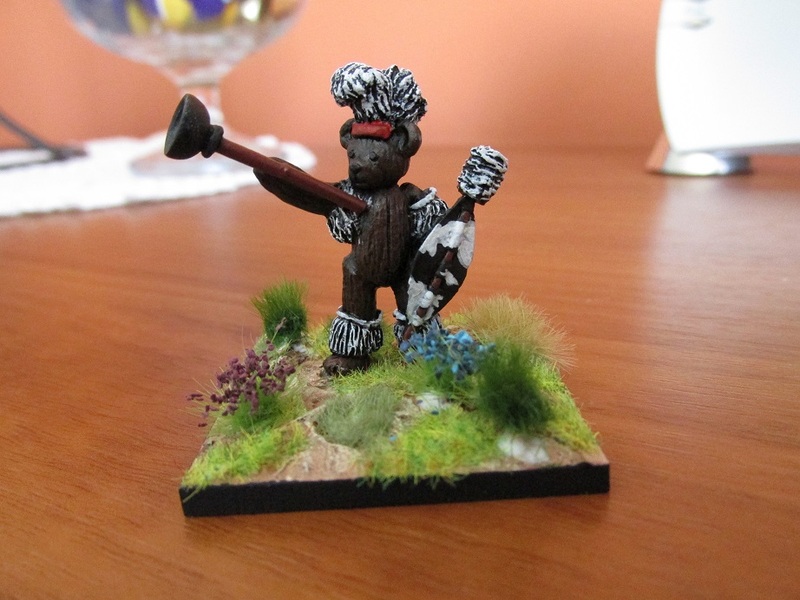 First off the Zulu Bear. He came with a choice of Plunger Assegai or a looted Martini Henry Pop gun. I went for the more tradition plunger. Drilled and pinned to keep it attached to the arm. 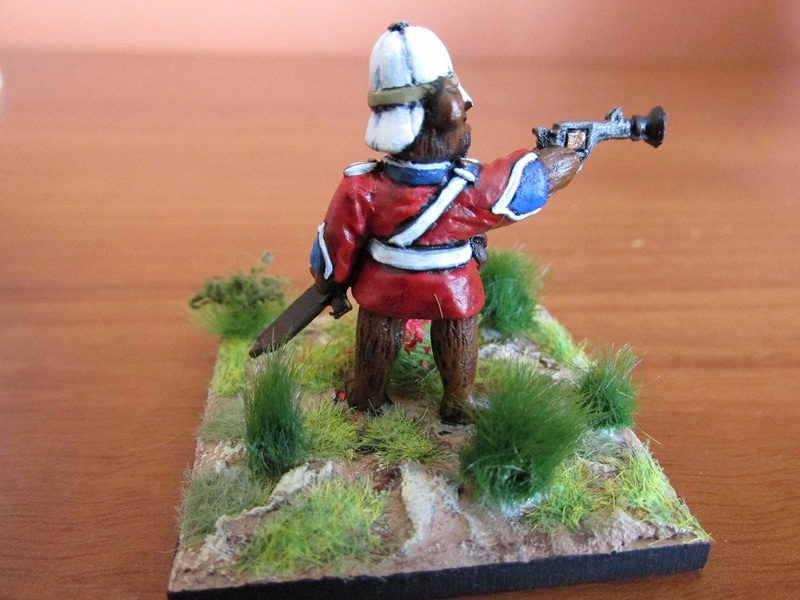 An officer of the 24th (2nd West 100-Acre Wood) Regiment of Foot. Armed with trusty service suction cup gun and wooden sword. The two together waiting for their mummies and daddies to come and take them home. 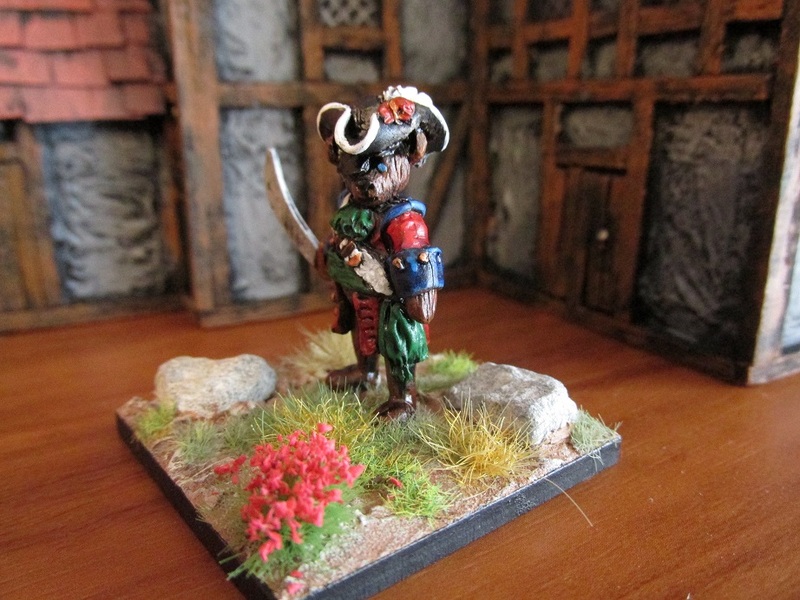 In the mid-80s I brought a unit of Connoisseur Miniatures 28mm Saxon Garde du Corps off Peter Gilder. 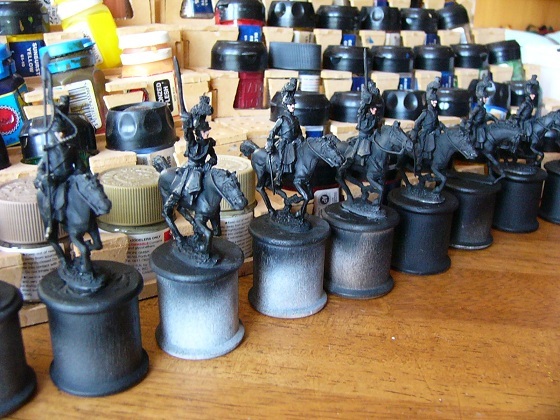 They sat unpainted in a box for nearly twenty years until I brought them some stable mates – a unit of Connoisseur Zastrow Cuirassiers from JT Miniatures who at that time owned the Connoisseur line. Of course, they all sat mocking me until this past weekend. 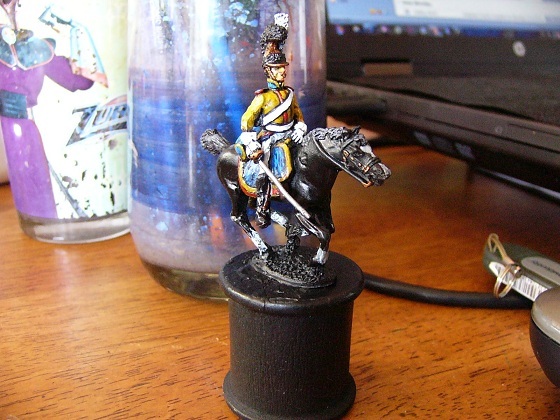 So the Garde du Corps got undercoated and ready to paint. These Saxons will be part of my miniature 4th Cavalry Corps (1812), alongside regiments of Westphalian and Polish Cuirassiers. 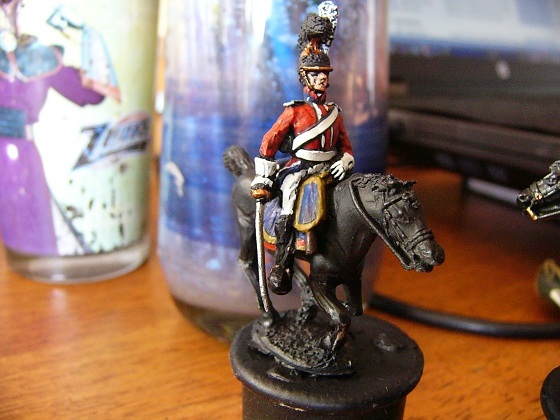 One problem with the old Connoisseur line was the lack of standard bearers and musician models in the cavalry ranges. I have converted a trooper to be a standard bearer (far left). I have almost no freehand ability so the monograms on the pistol holster covers and the saddle cloth wont be there. 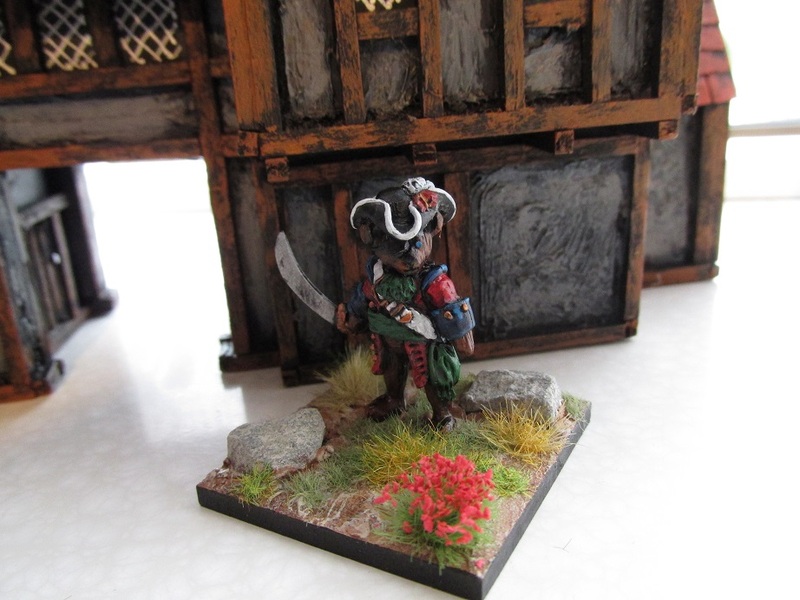 I was reasonably happy with this model, given my level of ability. 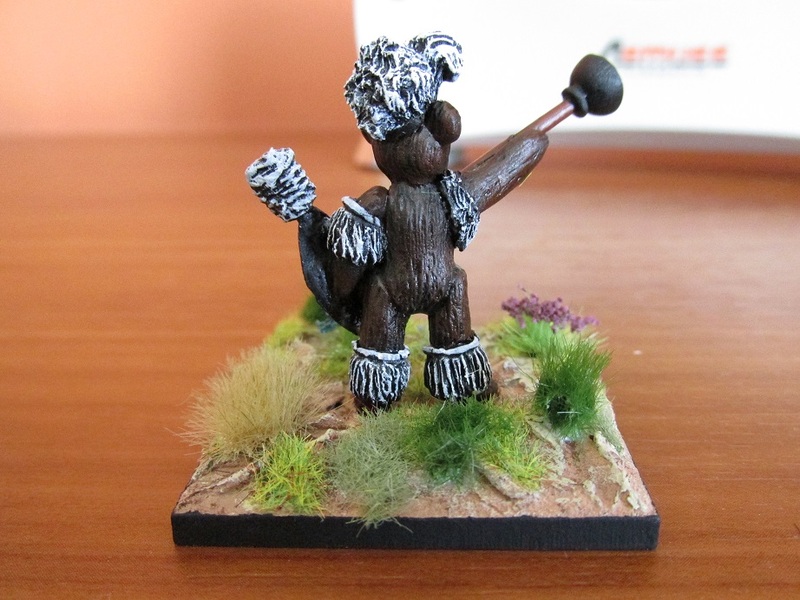 And a trumpeter who is partially completed. These models are quite chunky and full of mid-80s goodness – The horses are a bit small compared to the riders but I still like them. 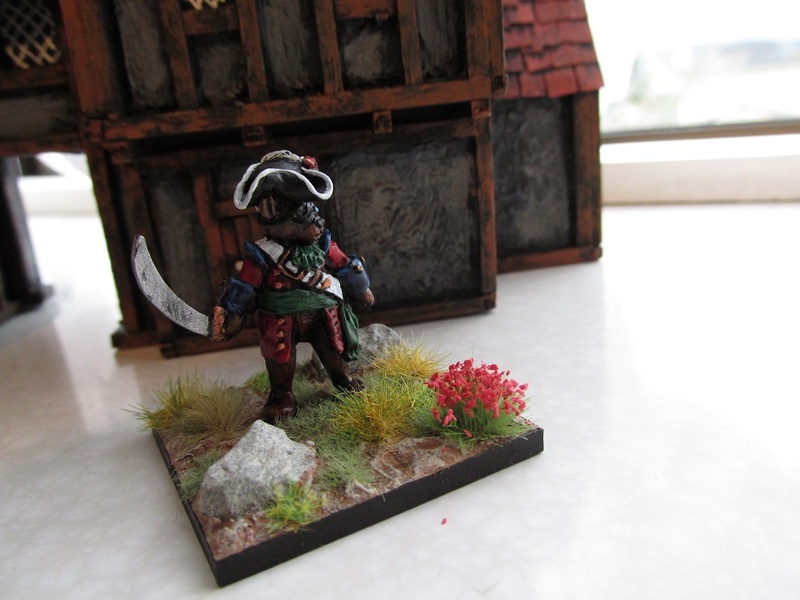 Connoisseur miniatures are still available from Bicorne Miniatures in the UK. I really love these old-style figures. As much as I like modern figures with their crisp mold lines and fine detail, I find they lack something in animation and personality. To me they are all much of a muchness. 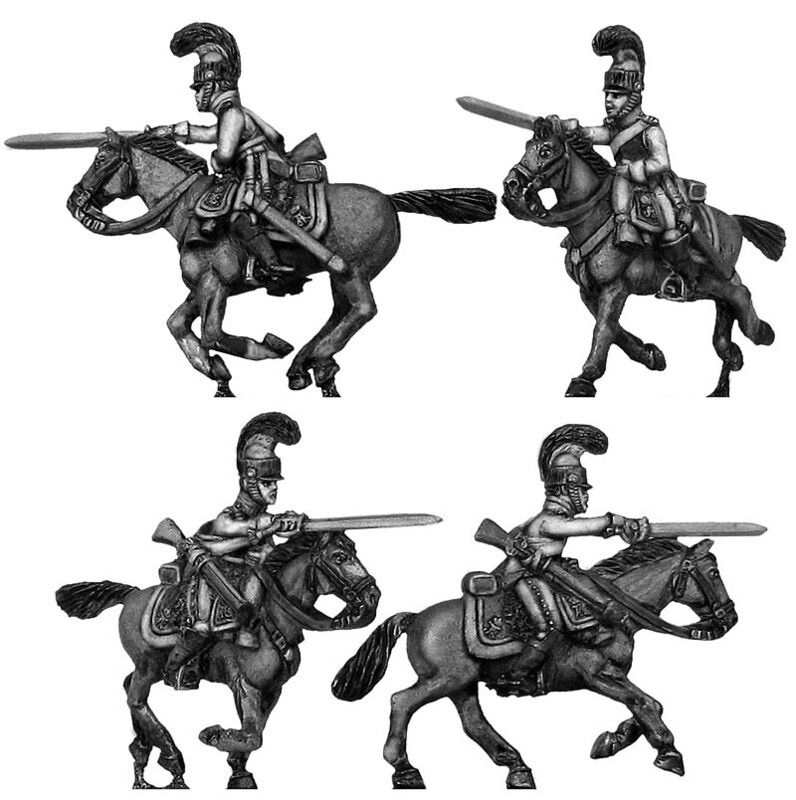 Recently Eureka released a good line of Saxon heavy cavalry. They look really nice and I am tempted to get a unit to paint as the third Saxon Regiment that seems to get forgotten – the Leib Kürassiere Garde. They have those fiddly monograms that I could never paint in a million years molded on the figure. That has to be good.